President Ibrahim Mohamed Solih has stated that this administration will always uphold Freedom of the Press. He made this remark while speaking at the meeting held this morning with members of the Maldives Media Council. At the meeting, the members of the council shared their concerns and future development projects planned. The Media Councilors especially noted the challenges being faced while carrying out their tasks. They also noted some areas where they need government assistance. Further speaking members of the Maldives Media Council expressed gratitude for annulling of the Anti-Defamation and Freedom of Speech Act. During the meeting the Media Councilors presented “Alimas” book to the President. This book was prepared by the Maldives Media Council on the occasion of Diamond Jubilee of Journalism in the Maldives. 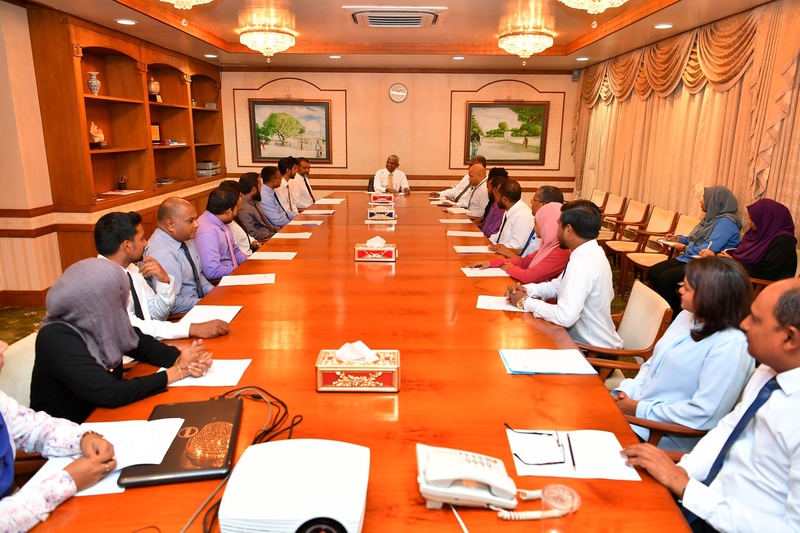 During the meeting, President Solih stated that the government would take necessary action after discussing with the line ministries and tackle these problems.